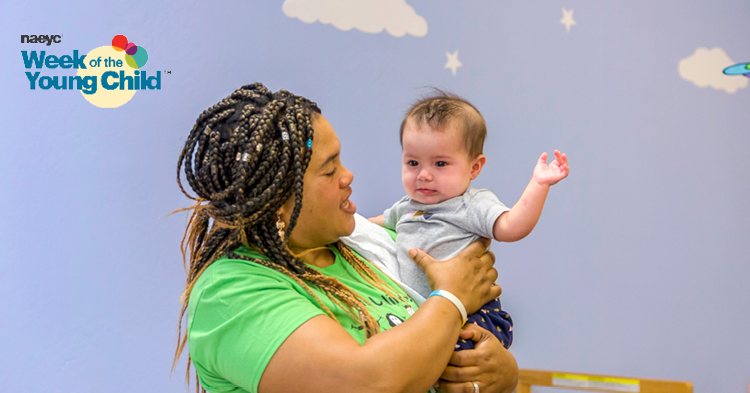 Babies, toddlers and preschoolers learn and grow through their relationships with the caring adults in their lives – including child care professionals. So it makes sense that helping young kids be ready for success means also helping their teachers build the skills and knowledge needed to be the best teachers they can be. 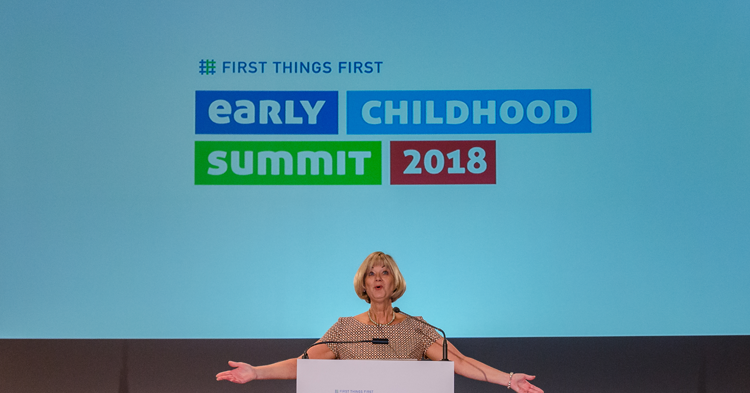 Over the last decade, funding provided by First Things First to do this by providing early childhood educators with in-depth professional development that allows them to earn college credit and work toward degrees in early childhood has blossomed into 17 Communities of Practice across southern Arizona. 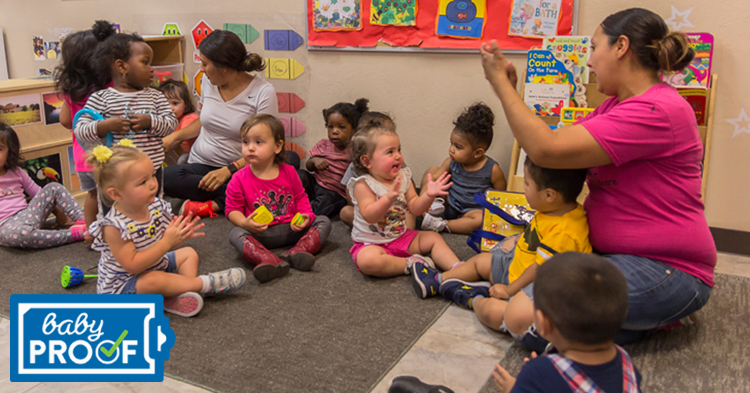 These Communities of Practice focus on various topics critical to early learning – including examples such as promoting emergent literacy and language in family childcare homes and improving inclusion and advocacy in public preschools. The United Way of Tucson and Southern Arizona administers the program, which is called Great Expectations for Teachers, Children, and Families. It provides early childhood teachers, principals and administrators access to professional development that improves their knowledge of the development and learning of children birth to age 5. 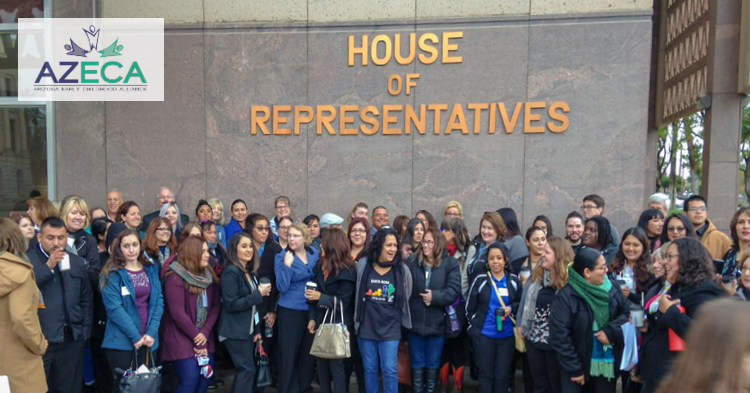 The initiative started a decade ago with classes at Pima Community College for those interested in earning an associate degree in early childhood education and eventually expanded to the University of Arizona for those seeking their bachelor’s and master’s degrees. The six initial Communities of Practice launched with about 20 members each, and addressed topics including infant and toddler practice, inclusion, language and literacy, developmentally appropriate practice, culture and diversity and instructional support. Over the years, the number of students who have earned degrees from Pima Community College has more than doubled. In May 2009, before the grant began, 22 students at Pima College earned associate degrees in early childhood education. The numbers have risen every year. In May 2017, 47 degrees were awarded in early childhood education. Eventually, a master’s degree program in early childhood education was created at the University of Arizona’s College of Education. The planning and building processes began in September 2009, and the first master’s degree class enrolled in September 2011. From 2011 through 2017, a total of 19 students were awarded master’s degrees. In 2018, 19 students were enrolled in early childhood graduate degree programs, 11 in the master’s program and eight in the doctoral program. By 2018, there were 17 Communities of Practice, including ones in Cochise County, the Vail School District, Green Valley and the Pascua Yaqui Tribal Community. In 2018, there were 530 members in the Communities of Practice. We’re sharing stories from some of the early child professionals who have benefited from the Great Expectations program. You’ll hear firsthand how the program helped them elevate their teaching while earning college degrees in early childhood education. As a little girl growing up in Mexico, Doralina Martinez loved caring for her young cousins, singing songs, teaching the alphabet and telling stories to the adoring toddlers who crowded around her. Her father predicted that one day she would be a teacher. “I loved to teach the littles what I knew,” Martinez said. That passion inspired Martinez to provide the best possible start in life to children as the owner of an early learning center in Tucson. Fueling her drive to achieve professional excellence in her career was the United Way of Tucson and Southern Arizona’s Great Expectations for Teachers, Children, and Families program, funded by First Things First. “My mentors and coaches provided so much valuable information, and so much support,” said Martinez, who opened her center in 1998. She was a seasoned professional, having owned her early learning center for more than a dozen years when she heard about Great Expectations’ newly launched Linking Leaders Community of Practice in 2011. 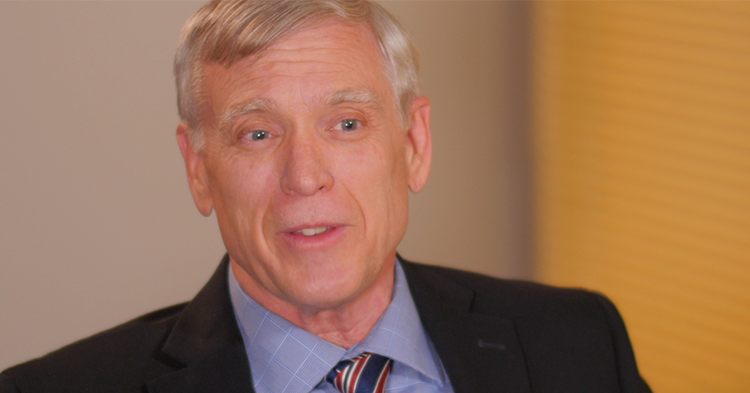 The goal of Linking Leaders is to connect center owners, directors and teachers who serve the most vulnerable children with resources and information that raise the quality of the children’s environments. Thirsty for professional development and networking opportunities, Martinez was one of the first to sign up. 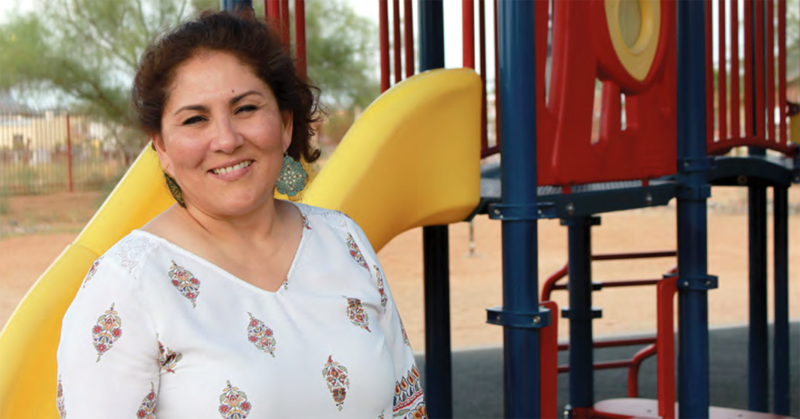 Through it all, Great Expectations Communities of Practice supported Martinez when she achieved her dream of becoming a college graduate, when she received an Associate of Applied Science Early Childhood Studies from Pima Community College in May 2018. She plans to work toward a bachelor’s degree in early childhood at the University of Arizona, with a long-term goal of pursuing a master’s degree and possibly a doctorate. 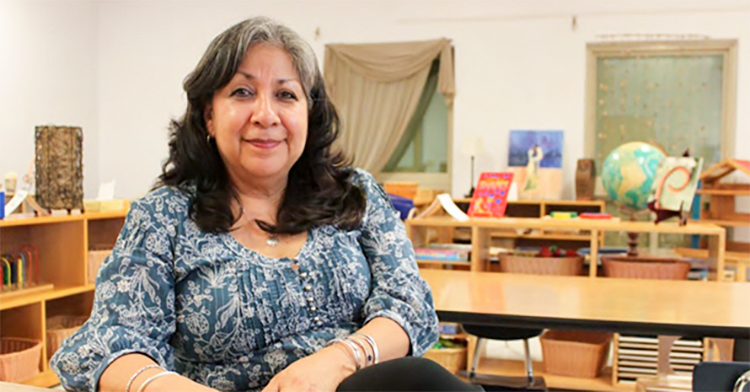 In 1998, Martinez and her husband, Martin, started a small child care center in their home – Miss Martinez’ Home Daycare – where she cared for her own children and two others. Once her own children started school, her business grew, and she was caring for six children. Miss Martinez was so popular, it soon expanded. “I convinced my husband to give up the garage and we converted it into a play area,” she said. Martinez was soon caring for 15 children, with an assistant and a waiting list of families wanting to enroll their child. Martinez and her husband decided it was time to move the business out of their home, and bought a house that was zoned for commercial use. In 2003, the couple opened the Little Angels Early Learning Center, a commercial business licensed for up to 49 children, ages birth through 12 years, many of whom came from socially and economically challenging situations. She loved working with children and families, and inspiring her nine teachers to excel in their careers. For Martinez, that meant continuing her education. She started with one class in early childhood education at Pima College. One of the major hurdles Martinez faced was financial. “I was paying for my classes, which was challenging, so I was taking them one at a time,” she said. She soon discovered programs that could help her afford college. Through the T.E.A.C.H. Early Childhood AZ scholarship and other programs offering financial assistance to early childhood education students, Martinez completed her Basic Certificate in Early Childhood Studies. 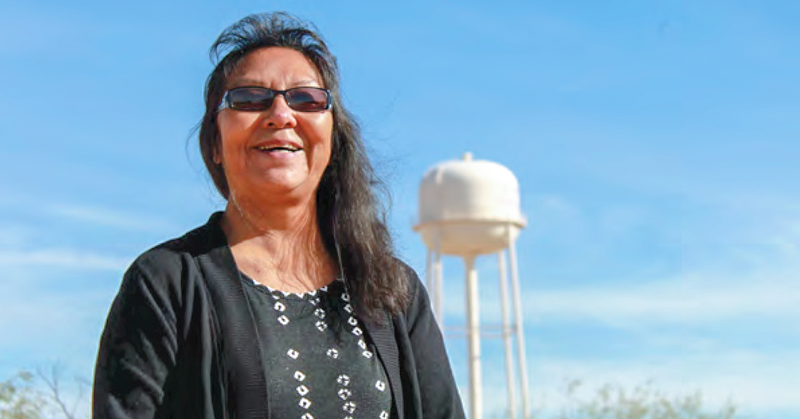 Inspired to reach for more, she started on a path to earning an associate degree. “When I started my little home center, I remember always having this sense of ‘I wish I could ask someone how they did this, or how they did that.’ Linking Leaders basically confirmed that I was on the right track,” Martinez said. Coaches came into her business and provided information and support to her and her teachers. Linking Leaders coaches were always there to help. Linking Leaders Community of Practice coordinators Kathy Steele, Maggie McKiernan, Teresa Bayze and Bill Berk partnered with Martinez through the early childhood development program that links center owners, directors and teachers who serve the most vulnerable children to resources and information that raise the quality of the children’s environments. Linking Leaders incorporates developmentally appropriate practices into coaching and mentoring events, and college credit opportunities are offered to cohort members. Coursework is held at member centers to make it easier for professionals to complete coursework. 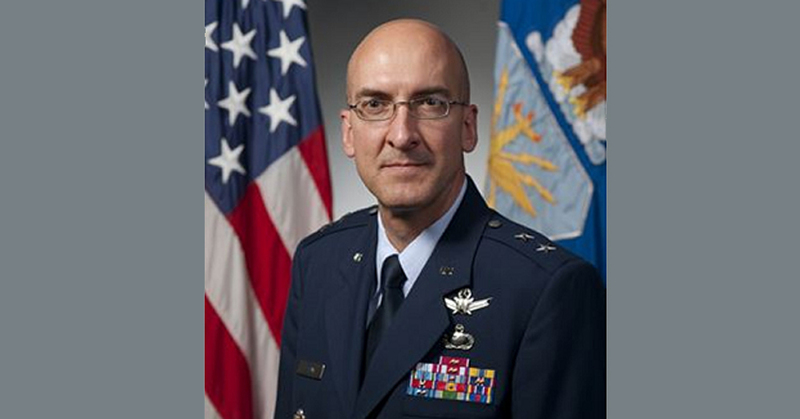 Steele connected with Martinez in 2011, when Linking Leaders was brand new. McKiernan vividly remembers the day that Martinez announced she was getting rid of worksheets to incorporate more developmentally appropriate practices into her center. “She walked in and told her teachers, ‘After today, no more worksheets.’ We went in that night and took ideas and worked with the staff,” she said. Instead of coloring in shapes on a worksheet, children were now drawing shapes in salt trays or using shaving cream to draw shapes on desks. “Doralina and I had lots of talks about what best practices would look like in a classroom, and why we had a tendency in the field to use worksheets instead of finding ways for children to learn that information in developmentally more appropriate ways,” Steele said. The coaches said Martinez provided her teachers with time for development and supported them in pursuing their education. Because the center was government funded, Martinez and her teachers were now required to have or be working toward associate degrees. One of the greatest challenges Martinez faced as a center owner was a steep increase in state licensing fees. Linking Leaders mentors stepped up to provide support. It no longer made financial sense to keep the doors to Little Angels open. After being in business for 19 years, Martinez and her husband closed the center in May 2016. Her Linking Leaders mentors let her know she wasn’t alone, as other smaller centers faced with challenging financial situations were also closing. 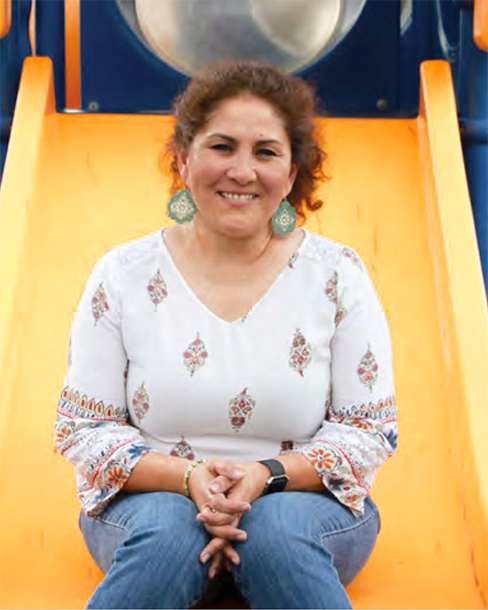 Martinez’s mentors encouraged her to stay in early childhood education. Since closing her doors, she has worked for Head Start, among other positions. One of Martinez’s greatest joys is giving back by mentoring other teachers. “I think it’s important for every teacher to have this support and to have mentors,” she said.